Any trucking accident lawyer Denver CO can rely upon will tell you that truck accidents are surging throughout the country. According to a report from CNBC, these accidents now happen 11 times each day on average, injure more than 100,000 people each year, and kill around 4,000 people annually. Actor and comedian Tracy Morgan’s truck accident made headlines when it was discovered that the driver of the tractor-trailer that slammed into his minibus hadn’t slept in 24 hours. With all this focus on truck driving accidents, things might start to improve, but these types of collisions are still far too common and often deadly. The Federal Motor Carrier Safety Administration released the results of a study on truck accident causes in 2014. According to NOLO, driver error led the accident reason pack, with a driver of a large truck being ten times more likely to cause an accident than other factors, such as road and weather conditions. Drugs played a significant part, with more than 40 percent of trucking accidents caused by a driver mistake involving an operator taking over-the-counter or prescription medication. As evidenced by the Tracy Morgan case, truck driver fatigue can cause a serious accident. Although federal regulations bar drivers from working more than 14 hours each day and driving for more than 11 hours daily, sometimes companies break the rules to make delivery deadlines or cover for an employee shortage. Even if the trucking company does follow the rules, their employees might fail to get enough sleep in between closely scheduled shifts. An overworked, tired truck driver might not be able to properly or quickly react to road hazards and unexpected events while driving. 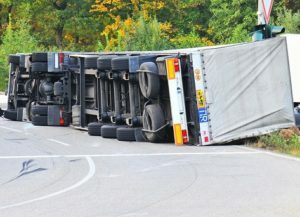 Other common errors made by truck drivers included driving too fast for the conditions, inexperience, or failing to distribute the truck’s load correctly, resulting in an imbalanced vehicle. Any of these factors can cause the truck to roll over, resulting in serious injuries to other drivers. When truck meets car, motorcycle, bike, or pedestrian, the consequences are often serious for those without tons of steel behind them. If you’ve been the victim of a truck accident, contact an experienced trucking accident lawyer Denver CO turns to after an accident. The consequences of a trucking accident can haunt you for years to come, both medically and financially. Truck accident victims should always seek medical care immediately, even if they don’t feel any injury. Some injuries, such as whiplash, may not show up until days after the accident. A delay in treatment can impact your health, your recovery, and your overall case. Report the accident to the police, and make sure your side of the story is entered into the report. Even if the police seem to feel you’re at fault, it’s important to have your version of events become part of the official record. Take photos of the accident scene, your injuries, and any damage to your property. Be careful if you speak to anyone about your case, including your own insurance company. The insurer’s primary goal is to close your case as quickly as they can, so they are not interested in what’s best for you over both the short and long terms. 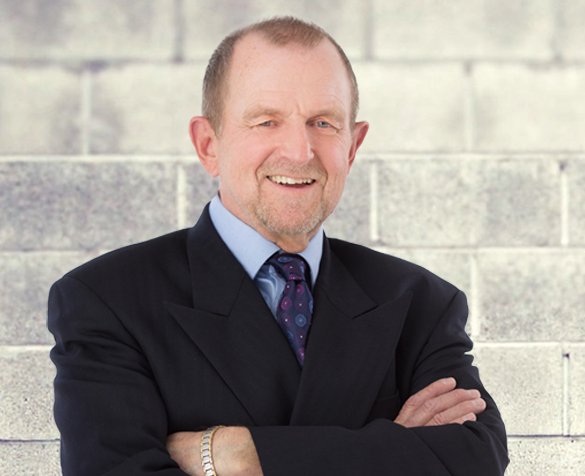 Speak to a trucking accident lawyer Denver CO can rely upon. Your attorney will guide you through the case, answer your questions, and help keep your rights protected. • Recovery of your medical bills and expenses. • Coverage for property damage. • Wages you lost because of missed work. • Compensation for loss of quality or enjoyment of life. • Damages for physical impairment or loss of limb. • Compensation for your pain, suffering, and inconvenience. • Damages for other losses you or your family suffered. Speak to a trucking accident lawyer Denver CO relies on today by calling 303-331-3415, and get yourself on the road to a full recovery.